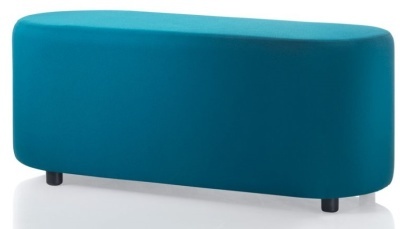 Two seater adult size bench with rounded ends can be used with other models in this range or in isolation. Comes with Black Nylon feet. Upholstered in a great selection of colourful fabrics and wipe clean vinyl choices.